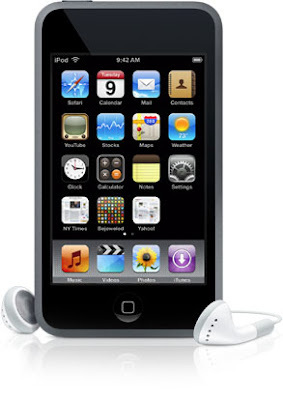 Yes, I had the Ipod touch on my Christmas list and I must have been a pretty good girl because Santa left it under the tree for me, wink. I absolutely love it more then I thought I would. I have been with Sprint for over ten years and am not ready to switch to AT&T just because of the I-phone so this is the next best thing. I can still have access to all the apps and the techie stuff without having to change carriers. I am having to limit myself because I can get lost in the app world. There are so many, and so much fun checking them out. Next, this is my new camera bag, it surely doesn't look like a traditional camera bag, and funny as it is it is more functional than the other DSLR bag I had. I was gifted this little beauty for my Birthday and loved putting my camera and accessories in their new home. It is so easy to get in and out of and has lots of extra little pockets for the things I need to carry along. 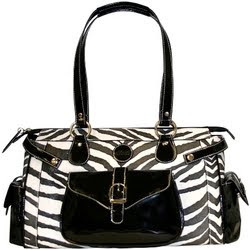 Plus it is so stylish, it looks like a high end purse. Love it, so if you are looking for a new bag for your DSLR definitely check into this one. It is made my Mimi. OMG! 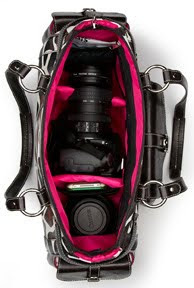 The camera bag! you are right! It's absolutely fantastic! WOW! I am truly envious!